There are several places that offer similar things: sandwiches, wraps, and build-your-own salads. 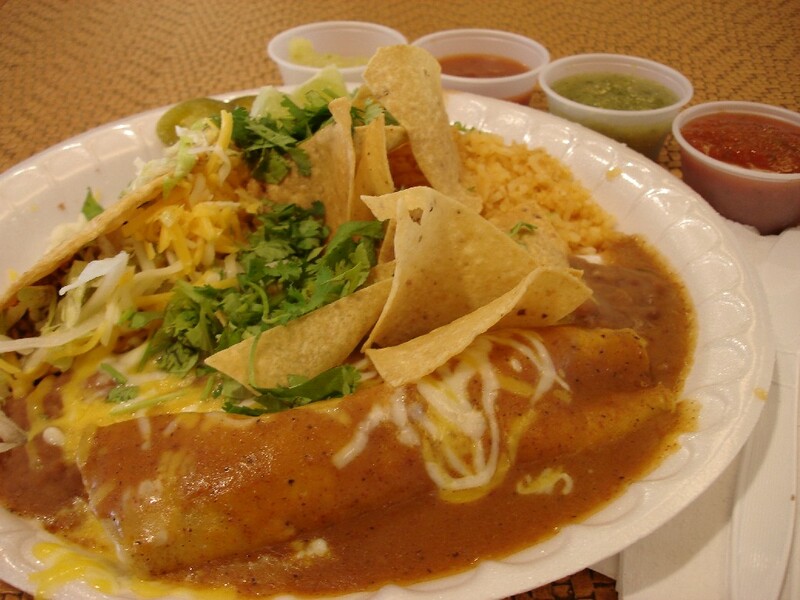 Here’s a Taco & Enchilada Combo Plate from Maui Tacos ($8.95). What sold me on this place is the self-serve salsa bar with 5 different types of salsa, chopped onions, lime wedges, pickled jalapenos, and cilantro (my favorite!!). 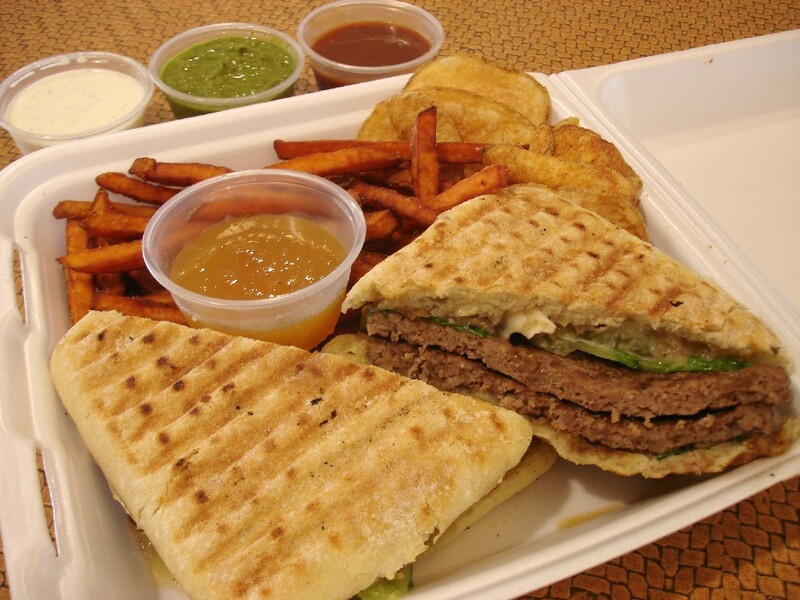 Here’s an Angus Burger Panini with Sweet Potato Fries ($11.98) from Tacone Flavor Grill. This place also has a self-serve sauce bar with Buttermilk Ranch, Cilantro Lime, and Chipotle BBQ Sauce. The Cilantro Lime Sauce was REALLY good. Just show me an eatery with a free condiment bar and I’m drawn to it like a fool … (It’s gotta be good stuff though, not just ketchup and mustard). For this reason I’m in love with Arby’s, El Pollo Loco in the mainland, and now Maui Tacos and Tacone Flavor Grill. If anyone knows of any places with an awesome condiment bar, please do share.